Ekaterinburg rides the line of the recognised border between Europe and Asia, placing it in a unique location as a transcontinental city. Dividing the largest landmasses in the world, Europa and Asia, the Ekaterinburg area boasts monuments celebrating the meeting of East and West. I arrived at Koltsovo airport on a early flight out of Helsinki. Just like in old movies featuring Hawaii, where arriving passengers are greeted by locals in hula skirts, I expected to be greeted in Ekaterinburg with a bowl of borsch and shot of vodka. Incidentally, I did not see any Russian drinking vodka during my entire trip. Maria and Anna, who were waiting in the arrival hall, drove me to my hotel, just in front of a very busy railway station. My first impressions of the city were the familiar ones: trams and trolleybuses, Soviet-style block apartments, construction works, and there was even a tent at the end of the street selling Uzbek food. Going beyond the familiar signs and wonders I began to encounter some surprises. First were the businesses. Banks and fur shops are the on almost every corner, Gucci and Givenchy stores…Next were the people: warm inside and very gentle, ready to help you on every occasion. 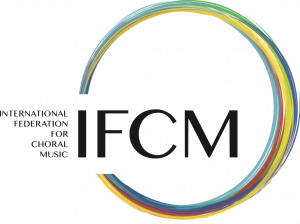 The International Choral Festival and Competition Eurasia Cantat (this was the second year) is in the international scene quite a new event. It would be all too easy to complain. Instead I was pleasantly surprised to see that entire organization, at whose summit sit Helena Bartnovskaya and Natalia Egorova, worked like a Swiss watch. I was really impressed by the venues of the competition. All the categories of the competition took place in the historic and quite fascinating concert hall of the Ekaterinburg Conservatoire of Music. The closing ceremony was held in a splendid and capacious cultural centre, with a huge stage, plenty of backstage facilities and comfortable seating. Between one event and the next there was also time for some official meetings with the city officials, who thanked the organizers of the festival for their dedication and commitment. The total number of participating choirs was really high, not often seen in such a contest: I counted 75 choral groups that competed in the various categories. This demonstrates that Russia (which will be discussed in detail in the next ICB) enjoys excellent health and still evinces a ‘desire to sing’. Ekaterinburg is today best known as the place where Tsar Nicholas II and his family were murdered in 1918. The house where they lived was demolished in 1977, on the orders of Boris Yeltsin, who then was a local Ekaterinburg leader. Yeltsin later, in 1998, represented the people when the Tsar and his family finally we granted a state funeral; the family members are now buried at the Peter and Paul Cathedral in Saint Petersburg. At the very location where their house stood one can, since 2003, still find the ‘Church on Blood in Honour of All Saints Resplendent in the Russian Land’, commemorating the Romanov family and their sainthood. Visiting this place is touching and it can easily evoke ghosts from the past. I recommend one visits too Ganina Yama, 16 Km away from the city, a huge monastery still being built on the site where the remains of the last Tsar and his family were found. It is but a shallow pit where the Soviet revolutionaries had attempted to dissolve, burn and otherwise erase any evidence of the bodies after the execution. Due the big number of participating choirs it would be impossible to nominate all the winners of the several categories. I just want to mention some of them that impressed the members of the jury, consisting of the President Milan Kolena (Slovakia), Jean-Claude Bernard (France), Nina Grigoryevna Groshikova (Russia), Andrea Angelini (Italy), Victor Emel’yanov, Vladimir Zavadskiy, Elena Nakishova and Dmitriy Rozvizev (Russia). 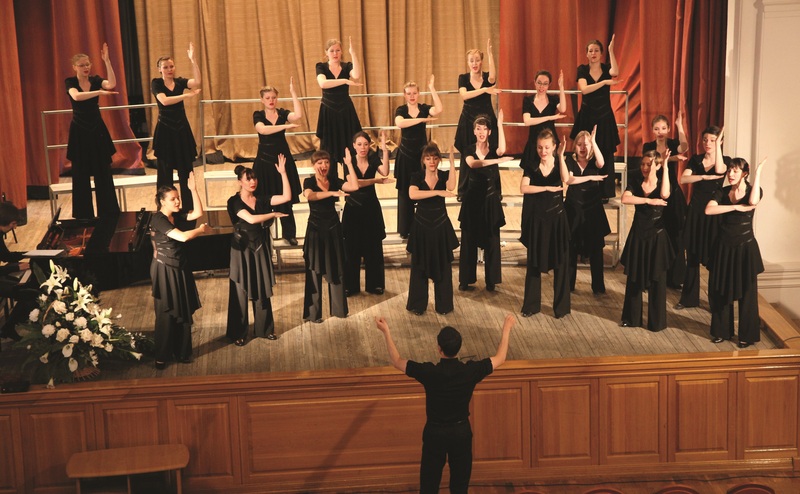 First of all the best choir selected, Vita in Canto, directed by Yuliy Kopkin, then the winners of the category ‘children choirs up to 16 years’ (choir Rainbow, conducted by Oksana Abakumova) and of the ‘youth choirs SATB’ (Orpheus, conducted by Svetlana Dolnikovskaya). 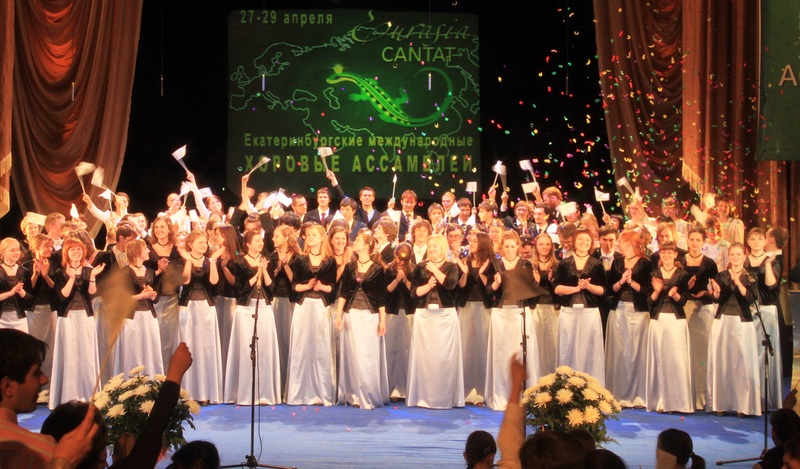 The entire list of the award winning choirs can be found on the festival website at www.eurasia-cantat.ru/en/. The organizers really hope and count on the support and enthusiasm of the city administrators to launch the next festival in order to share the joy and music shared between the two oldest continents (at as far as culture is concerned) of the Earth.